There are multiple grilling techniques and methods. The types of heat sources for grilling are numerous. Factor in the different types of food like steaks, poultry, fish, seafood and vegetables and you can quickly see that the ways and methods of grilling are going to be many and diverse. 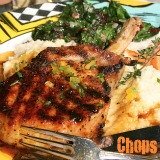 The key is to customize your grilling techniques and your use of equipment to suit the food type to obtain the result you desire. To get the best results from a particular method or technique, these factors have to be put into play. 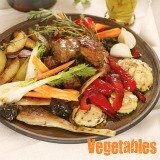 The main factors are food type, heat source and desired result. The last factor has to do with personal preference or weather, as in, will you be grilling indoors or outdoors? Direct heat grilling is the most basic and common grilling method. The words speak for this method. Food items are placed over direct heat in order to cook them. This can be done over a charcoal, gas, wood or any other heat source. The heat is usually high and ideal for searing. Searing involves using high heat to 'burn' both sides of your food item for a few minutes to seal flavors. The thicker your meat the longer you can sear. After searing, the food item can then be transferred to the 'not-so-hot' part of the grill to cook. Hamburgers, steaks, chops, sausages even kabobs do well with direct heat. These foods usually take 30 minutes or less to be fully cooked. Indirect grilling is a method where the food is cooked with reflected or indirect heat. It involves not placing the food over a direct heat source and keeping the lid covered most of the time. Sometimes food items are grilled over direct heat first, to seal flavors, then they are cooked with indirect heat. Smoking is one of those grilling techniques that has a more specialized approach to it. It can only be done outdoors. You can 'smoke' while grilling with gas or while grilling with charcoal. This actual technique involves cooking food at a low temperature in a closed chamber and for a long time, hence the industry term, 'low and slow'. You can use any of your favorite choice of hardwood smoking wood chips, chunks, pellets or even dust to 'flavor' the food. The heat source is usually somewhere beside the food or even in a different chamber or box. 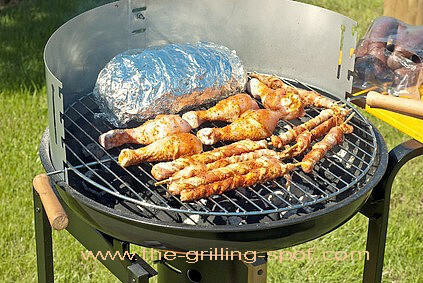 Rotisserie grilling is one of those grilling methods that is quickly gaining in popularity. It is also referred to as spit roasting. In this method, food is placed in a chamber with a motorized turn spit or a rotating skewer. There are special ceramic or infrared burners that produce the indirect heat needed for cooking. A charcoal fire can also be used to produce the indirect heat. Outdoor grilling is not a method of grilling in itself. It only refers to carrying out the cooking outside. Please refer to charcoal, gas or wood grilling to learn more. Plank grilling is a very unique way of grilling. The idea is to place food on a piece of wood (plank), as heat is applied, the plank 'smolder-smokes' and infuses the food item with its wood 'flavor'. Infrared grilling is a mystery grilling technique. No one anywhere knows anything about it! That would be the saddest day, huh? Anyway, infrared is both a 'low-tech' and a 'hi-tech' heat generating technique. On one side, one industry expert likens infrared heat to the heat produced at a bonfire travelling to your face through heat waves, not blowing wind. Pretty low-tech, huh? Charcoal grilling is the most traditional and popular way of grilling. It encompasses all aspects of grilling and is very versatile. The fuel used is either lump charcoal or charcoal briquettes. Both direct and indirect heat grilling methods and techniques can be applied to prepare great tasty grilled foods. To add on to that charcoal grills are very affordable and available at many department and hardware stores. There is always a great charcoal vs gas debate going on. What do you prefer? Gas grilling is one of the most convenient ways of grilling. It is a 'no mess' way of grilling. Gas grills normally cost a little more than their charcoal counterparts but make up for cost by being more convenient and temperature control is a breeze! 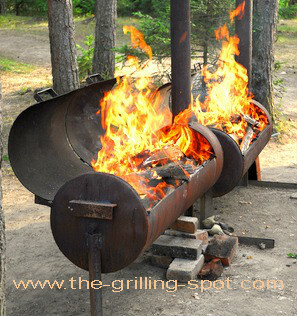 Wood grilling is another way of grilling by utilizing wood as fuel. This way of grilling was until recently the premise of restaurants only. In the market today, heavy-duty, portable wood-burning grills and stoves are available for home cooking. Know your food item. Identify your method; direct, indirect or smoking e.t.c. Select your way of grilling; charcoal, gas e.t.c. Apply specific grilling techniques. Enjoy the results! Do you have any grilling questions? Get answers! 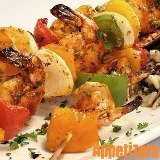 Grilling Tips - A compilation of more than 35 time-tested grilling tips to enhance the whole grilling experience and get tasty mouth-watering foods! Charcoal Chimney Method - A charcoal chimney is a metal cylinder that allows you to start your charcoal grill in the the cheapest, safest and most efficient way. No charcoal lighter fluid needed! Lump Charcoal vs Briquettes - Lump costs more, starts faster, burns quickly, smells better and achieves higher temperature. The two main types of briquettes are plain and instant or self-igniting. Wood Flavors - Using chips and chunks opens the door to stepping up the grilling game and trying out new flavor. Blend different woods and create your own new flavor!